Severine’s journey from her American birth, an upbringing in France, and an assortment of world travels has brought her to this point. Her single Not Obsessed is likely to stand forever as a key turning point in the young singer/songwriter’s life thanks to the resounding way it announces her arrival to the music world. The influence of Nina Simone and Louis Armstrong casts a shadow over the work, but it mixes nicely with strains of electronic musical influence she’s gleaned from performers like Radiohead. Her take on this style is more melodic on the single Not Obsessed and even has something of an orchestrated quality, but it bubbles with a modern sheen thanks to its electronic music leanings. Her collaboration with producer Anthony Gallo (John Legend, Common, Norah Jones) produces memorable results with this release, a likely preview of the quality we should expect from her upcoming EP release. 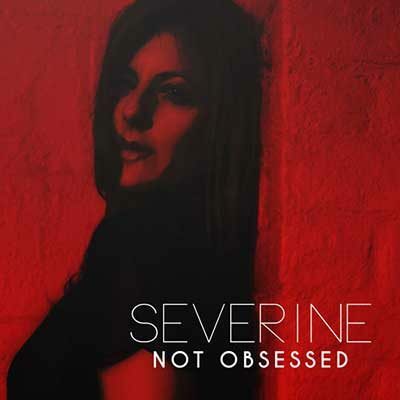 Severine is a pop performer with substance who’s worth watching and hearing whenever you can. She combines traditional sounds with the electronic music in dramatic, ear-catching ways. The production style brings the song’s synths and keyboards into total sympathy with the piano playing opening the song and likewise threading its way through the track. It doesn’t seem like it would be that sort of a song, but Severine’s track establishes a light groove early before the first changes come. Not Obsessed often has a rousing, intensely emotional bent and the musical peaks that come along the way are perfectly built up to and integrate the various elements at her disposal in a seamless, highly musical way. Severine obviously arrived early at a vision for this song – it has an ideal running time and manages to pack a world of musical experiences into its relatively brief duration without ever sounding rushed or cluttered. Her vocals are adept for facing down any challenge that comes along. She really makes great drama out of the song’s lightly ironic twist and brings an appealing combination of grit and melodicism to play delivering the song’s lyrics. Much like the arrangement, Severine’s lyrics never waste a word or any of the listener’s time and hit upon an accessible, conversational tone without ever dumbing down the adult subject matter. The possible breadth of this song’s appeal is immense. Listeners old and young alike will find some basis to relate to Severine’s lyrics or else understand the enormity of the experience. One does not write songs about buying groceries – these are works of art in miniature and aim to depict impactful events and feelings in our lives. Not Obsessed does that with relaxed, confident ease. There’s little doubt that this is a singer and songwriter with the desire to make music her life and career; many do, but not everyone has the talent and intangibles in enough supply to make it work. Severine is working at a higher level than many of her contemporaries and this release makes that observation undeniable. If you enjoyed Not Obsessed, check out the official website for Severine by clicking here. Give her a like on Facebook by clicking here. Give her a follow on Instagram by clicking here & on Twitter by clicking here.